The Louis Erard 1931 Retrograde is the latest model in the 1931 Collection and features a new movement and a new complication. The movement is an ETA 2892 with a 9094 Soprod module added on. The watch comes in a 44 mm diameter stainless steel case with hours, minutes, seconds, day, and has a retrograde date and power reserve, which instantly jump back to their starting position once they reach the end of their arch. 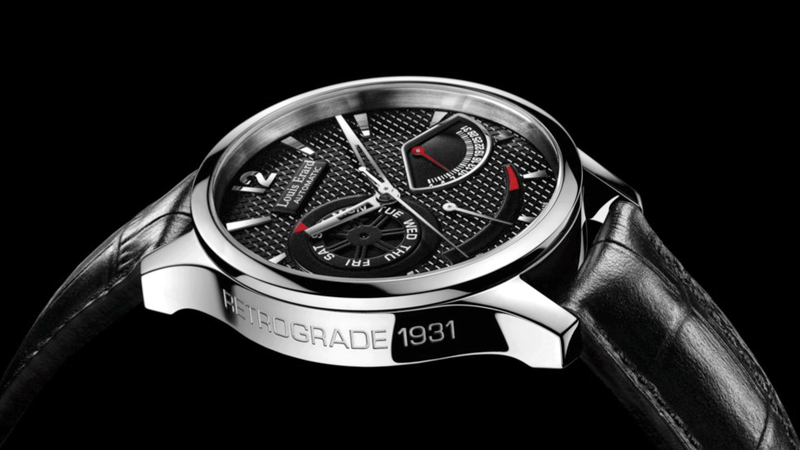 In addition to the retrograde date and power reserve, there is a day of the week wheel at 9 o’clock. The hour, minute, and second hands are all centrally located, and the hour and minute hands have been skeletonized. 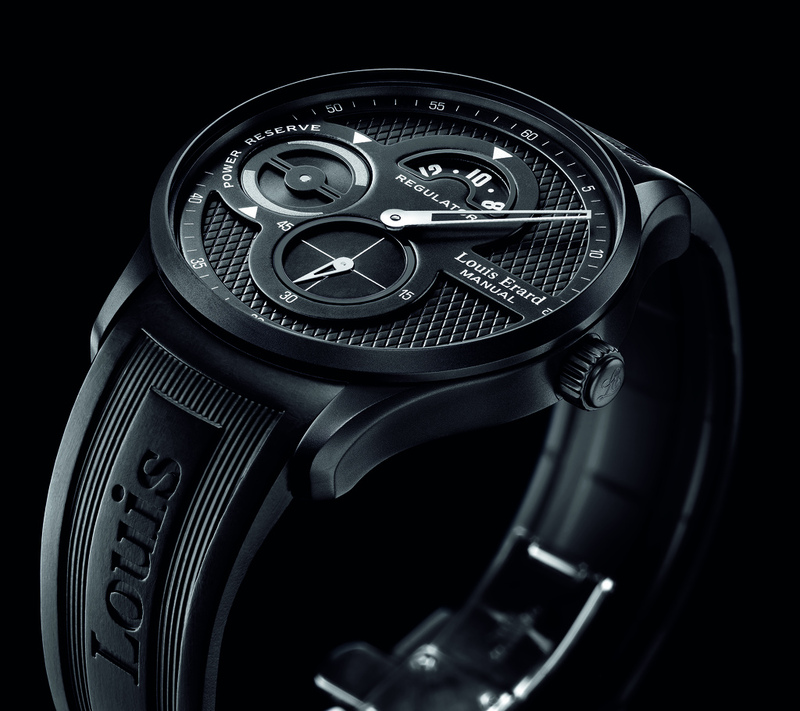 The black dial has a guilloche pattern, with applied indices, including an Arabic numeral hour marker at 12. Red accent colors make the otherwise monotone dial pop a bit. The Louis Erard 1931 Retrograde crown has a push-in design, the caseback is sapphire, and water-resistance is 50 meters.